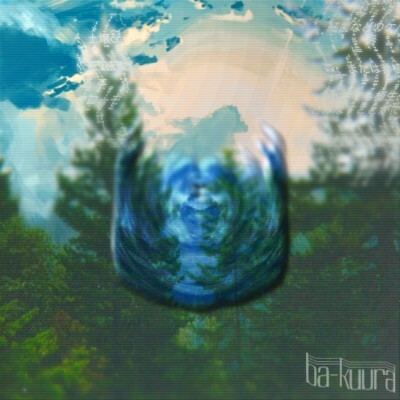 Since uploading their first track in April, the duo known as Ba-kuura have shown that they have a unique ethereal sound with a captivating knack for melody. With a sonic and visual palette pulling from an equal influence of anime (especially Japanese) and internet culture, it's almost not surprising to find out that Jacob and Zach hail from Atlanta, a city of incredibly diverse genres and styles. However vast the city may be, Ba-kuura stand out among the pack with their debut EP, which has already received a full spin and more on Atlanta radio. Forest//URL was released a few days before Halloween for free download (or you can name your price), containing four original songs that resemble a ghostly merger between future R&B and bouncing Club music. "Rakuen", featured on the EP's teaser video, enters the listener into the digital forest with pulsing stabs and vocals gliding over a jumpy beat. The next track, "Zeitaku", takes a deeper route with additional instruments from their friends in Hymnal Moths. The last two songs – "Guardian" and "Summoner" – seem to be partners in bass, providing a sweeping, melodic take on Jersey Club music in a futuristic context. If you're a fan of the more spacey and beautiful side of electronic music, take a trip into the Forest, and be sure to keep an eye on these guys.